KMCH stock made its life time high of Rs. 1480 in July this year and closed at Rs. 1120 last Thursday giving absolute returns of 946% to our members. 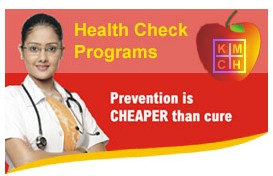 As on date, Kovai Medical is a 10-Bagger stock for our Hidden Gems members in period of 6 years. In Jun'17 quarter, net profit of Kovai Medical Center & Hospital rose 9.74% to Rs 15.88 crore against Rs 14.47 crore during the previous quarter ended June 2016. Sales rose 6.75% to Rs 137.14 crore in the quarter ended June 2017 as against Rs 128.47 crore during the previous quarter ended June 2016. Company has delivered robust profit growth of 37.9% over 5 years. Moreover, company has a good return on equity (ROE) of 28.5% during last 5 years. Kovai Medical Center & Hospital has given returns of 1176% and is almost a 13-Bagger stock for our Hidden Gems members within 6 years. Moreover, there are total 42 Hidden Gems stocks out of 64 published by our equity analysts till Dec'16 which have given returns in the range of 100% to 1900% to our members during last 7 years. Hurry! Last 4 Days... Dussehra Diwali Offer closes on 25th Oct 2017 at 11.59 PM.